As a provider of electrostatic charge and discharge systems, Enulec offers superior solutions for gravure and flexo printing presses, laminators, slitter rewinders and blown film machines. These are all concentrated exclusively on the two segments which includes flexible packaging and folding boxes. The company has made a name for itself as a specialist for discharge systems in these segments. 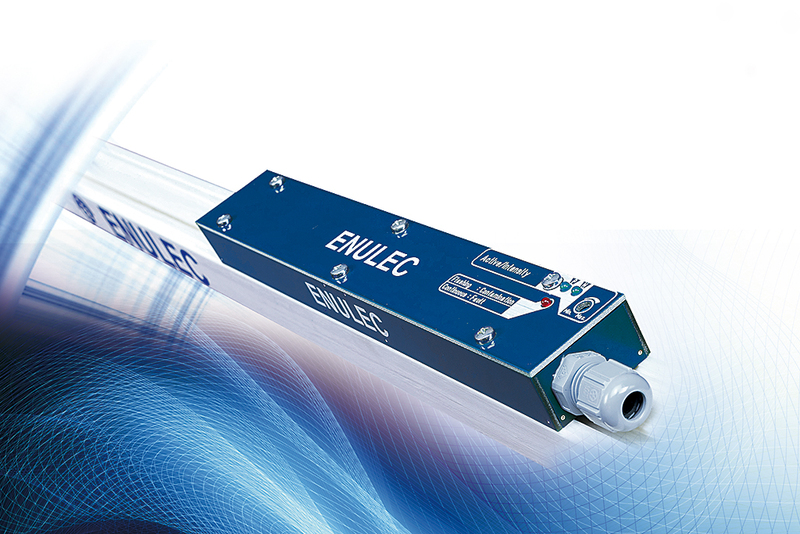 Enulec presents LDS-PRO, a new discharge system with 24 V input voltage. The intensity of this discharge bar can be automatically adjusted to the respective application, thus allowing for material-optimised discharging. The NEW 24 volts full automatic static control “LDS-Pro” and “FI-Compact” Static Inline Measurement Systems offer in conjunction with its intelligent ENULEC QM control, new possibilities for process optimization and an increase in safety during production for flexible materials in the converting industry.